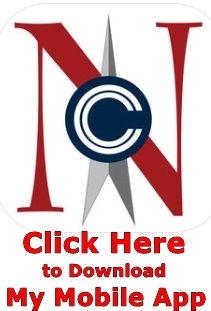 The only Real Estate website you need for buying or selling property in Hopkinsville, Ky! We are very close in proximity to Ft. Campbell, Ky, and we greatly support our military troops. Kirkman Real Estate serves the entire Western Kentucky region and Clarksville, Tennessee real estate market including the areas of Hopkinsville, Pembroke, Crofton, Elkton, Cadiz, Eddyville, Kattawa, Lacy, Kirkmansville, Madisonville, Dawson Springs, Princeton, Greenville, Central City, and White Plains. Here you will find a wide variety of useful information and resources designed to help you buy or sell a home more effectively in the Christian County, Todd County, Trigg County, Logan County, and Hopkins County Ky areas. From information on the local community, to advice about finding a mortgage or preparing your home to sell, it's all available here on my web site. Whether you are considering buying a home, selling a home, or renting a home, we know this area inside and out. You can also search for your ideal home by viewing current listings with detailed descriptions and photos; or you can get help determining the value of your home by requesting a report that includes the prices of similar homes that recently sold or are currently for sale in the Christian, Trigg, and Todd Counties areas. We specialize in Western Kentucky communities. From first-time homebuyers to farms and everything in between, we can take care of it all! So whether you're buying or selling in Hopkinsville, Ky, or anywhere in Western Ky, feel free to contact me, and I will be happy to help you with all your real estate needs. I am a proud member of the Hopkinsville Christian County MLS system and the Clarksville Montgomery County MLS system. As your real estate agent, I have exclusive access to the MLS database and I want to share it with you. Follow us on Facebook to see our new properties for sale and our available rentals!